Many of our students have really shone like little stars and done us proud in some of our recent shows. Of course it was their performances that wowed us but I’m sure you’ll agree the costumes stood out too. Thanks to all the parents who helped out with the shows. Students were invited to perform as part of the ‘Celebration Of Youth’ showcase at the Globe Theatre on Blackpool Pleasure Beach. They presented a dance to the much loved song ‘Nicest Kids In Town’ from the musical Hairspray. Such was their enthusiasm for the piece the brave bunch were willing to perform it to passers by on the prom to get ready for the main performance later in the day. 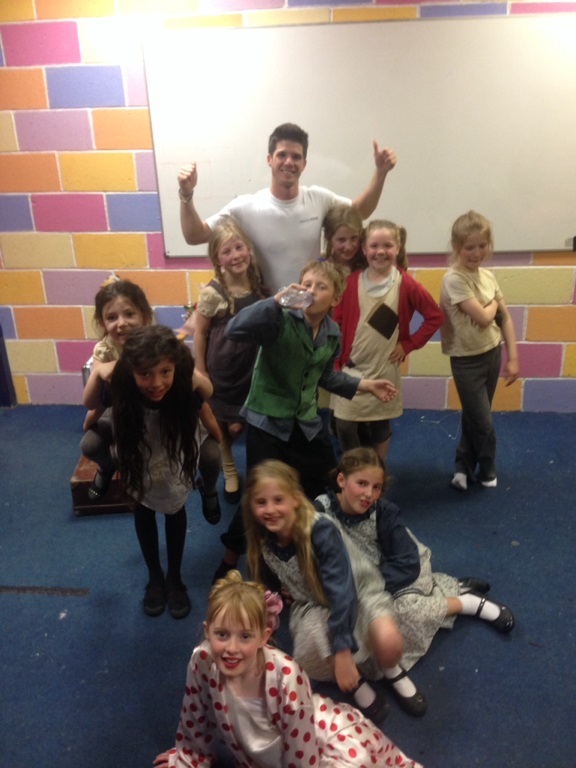 Our Longridge lot were invited to perform at the Thwaites Empire Theatre as part of the ‘Junior Showtime’ showcase. They presented the well known scene from Annie where Miss Hannigan catches Annie trying to sneak out of the orphanage to try and find her parents. The piece was introduced with a modern day themed news story theme which linked to the scene. Followed by an impressive routine to ’Hard Knock Life’. A big well done to Jess who attends our Lytham St Annes School For Stage who achieved a MERIT in her first ever L.A.M.D.A exam in Acting. Shes looking forward to making a start on her next grade. If you're interested in solo/duo L.A.M.D.A examinations then please get in touch. We took our first intake of tiny tots who love to sing and dance this April. Miss Dani welcomed the bouncy bunch to our Pre-School For Stage classes at The Limes at Longridge where she encourages the 2-5 year olds to sing and dance to some of our best loved musical numbers. Earlier this year we welcomed a bunch of budding performers from Lancaster and the surrounding areas to our new school in Lancaster. The doors of Lancaster Royal Grammar School (where we operate our Lancaster classes from) were opened to the public on the first weekend of May. Parents and potential students were able to come down to the school to meet the team, check out the facilities and find out anything they might want to know about SFS. A week later we had our first ever Lancaster class and were pleased to say it was a tremendous success. Many of the students who came to our first class still attend our classes now. We’ve loved seeing them work together as a team and grow in confidence along the way. You really wouldn't recognise them now from the shy beings they seemed to be on their first day. Since the start of Kieren’s journey to open and seamlessly run School For Stage he has worked tirelessly to gain new skills that have previously been out of his comfort zone. Kieren has a strong passion for drama and theatre and is an expert in his field which he has shown through study and working in the industry. However, opening a business was something that he originally knew nothing about. He was determined to not let this stop him achieving his goal of allowing children the opportunity to perform. Last year Kieren was nominated for a Ribble Valley business award which he won. It acknowledged his achievements in becoming the Ribble Valley's most enterprising person of the year. This year he has been nominated again and, in October, hopes to gain recognition for the growth of his business. Thank you to all those who have helped him along the way is whatever capacity. We all wish him luck and are extremely proud of what he has achieved. Lets keep our fingers crossed for the next award.